Welcome to Stone Oak, the Pinnacle of suburban living, in North San Antonio! A center for family, academia, lifestyles, and entertainment; all stages of life and diversity thrive here, from developmental schools, such as, Primrose School of Stone Oak, to senior living super stars like, Overture Stone Oak, and many more. The apex of North San Antonio, Stone Oak, boasts an ever growing medical center specializing in urgent care, women’s’ health, children’s healthcare, and wellness. Another of the largest attractions to the area are our stellar schools, which are some of the highest ranking public schools in the state, such as, Reagan High School. Like to shop? The Stone Oak area, outside Loop 1604, on US Hwy 281 N, is brimming with boutiques and unique salons for all tastes. Serious shoppers in need of larger venues, travel just moments, south to North Star Mall and The Quarry, or west to the Shoppes at La Cantera and The Rim, for a world class shopping experience including couture and fashion magnets like, Sacks Fifth Avenue, Nordstrom, Dillard’s, and Macy’s, to name a few. The best restaurants in San Antonio are represented here: from Paesano’s and Aldino’s for Italian fare, to standards like, Cover 3 and Stone Werks, who have Amenricana covered, to the epicurean favorites of, Wildfish and Chama Guacha Brazilian Steakhouse. Look no further. If golf is your game, hit the links at a private club, or at The Players Club. Both the communities of Canyon Springs and Sonterra, have inspired 18 hole golf courses, for residents and their gusts to enjoy. The Club at Sonterra, a full service country club, hosts, Taste of the Northside, a years old, Fiesta event and tradition. TPC, at the JW Marriott Resort, is flanked by the remarkable ForeStar Community, known as Cibolo Canyons. It is open to the public when you play and stay at the resort. If you are relocating to the Stone Oak area, come experience concierge buyer representation with Christine Aldrete Banks, a recognized and decorated expert in North San Antonio. She has been selling upscale and luxury homes here for more than 30 years. Count on her experience and expertise in finding the perfect home for you and your family. Work directly with her not her assistants. 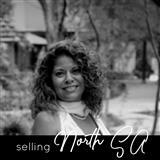 If you live in the Stone Oak are of North San Antonio, and you are considering selling your home, list with Christine Banks, confident in the knowledge your home will be showcased with cutting edge technology and elegant marketing. Captured in professional images and scale drawings, and staged by a meticulous designer, your home will be featured in the most premiere real estate periodicals and have online reach in the millions. : ALHS, CRS, SRS, RSPS. Christine is a partner in education with the Northeast Independent School District, Northside School District, and the Judson Independent School District, in the areas where she specializes. Giving back to the community, continued education, and integrity in business, are key elements which have been integral in her practice, for more than three decades. “Love Were You Live!” when you choose the 3% LUX Move Up….the crown jewel of StoneOakLiving.com. Purchase a new home of greater value, sell your existing home in the same year, and receive a full rebate of the lesser commission of both transactions, up to 3% of the sale price. Reverse rebate is available for downsizing clientele. Ask for details. Welcome to Christine Aldrete Banks’ premiere real estate website! We are glad you are here. We take pride in providing you the best possible service, as well as the latest cutting edge tools, to make all your real estate transactions as smooth as possible. 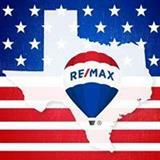 You won't find another site with more comprehensive local real estate information. Explore unique home searches by zip code and school, while you unveil premium marketing, such as luxurious production video. Our boutique approach to real estate is personalized, attentive, and professional with each client, every time. We deliver inspired results through concierge service!